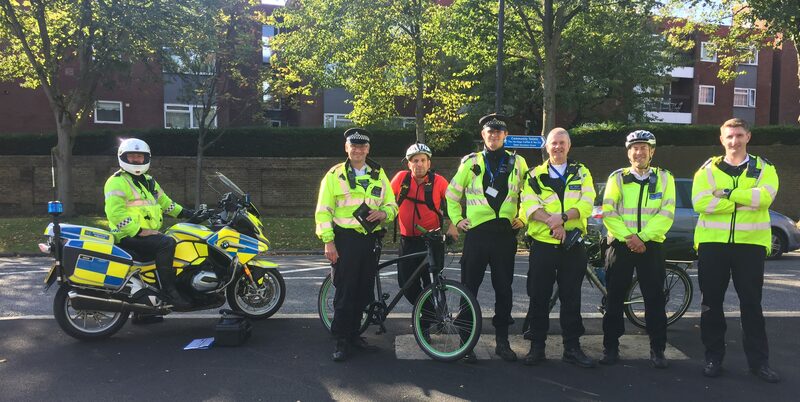 This week the Metropolitan Police Cycle Safety Team came to Enfield to carry out a ‘close pass operation’ on The Bourne, Southgate. Their mission: to pull over and educate people who drive dangerously around people on bikes. The team came thanks to lobbying from Better Streets / Enfield Cycling Campaign member Hal Haines and Winchmore Hill Community Support Officer (CPSO) Antony Rivas. As Hal was unable to go on the day, I got to go with PCSO Rivas to see the action. It was hugely significant day for me personally. For three years I rode my tandem to school with my daughter along The Bourne. On many of those days we were close-passed, often at speed, by inconsiderate drivers. So it was very gratifying to stand on that street and watch the Met team pull over driver after driver and politely educate them. I was there for an hour and in that time they caught six drivers – even the police were surprised at the number. This is how it works. 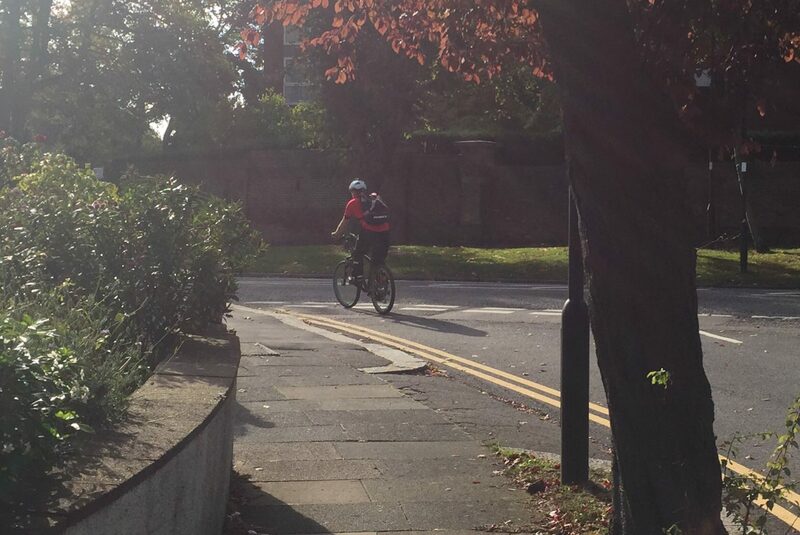 A plain clothes officer cycles back and forth along the road. If a driver passes him too closely – i.e. leaving less than 1.5 metres between car and bike – the cyclist radios a description of the car to the team waiting further up the road. The driver is then pulled over, either by an officer at the side of the road or (if the driver is heading the other way) by a police motorcyclist. One of the police officers speaks to the driver, carrying out various checks (e.g. sight test, insurance), before talking them through what the Highway Code says about passing someone safely on a bike. Below is some of the information the officers show the driver – how to overtake, how to follow and how to turn. 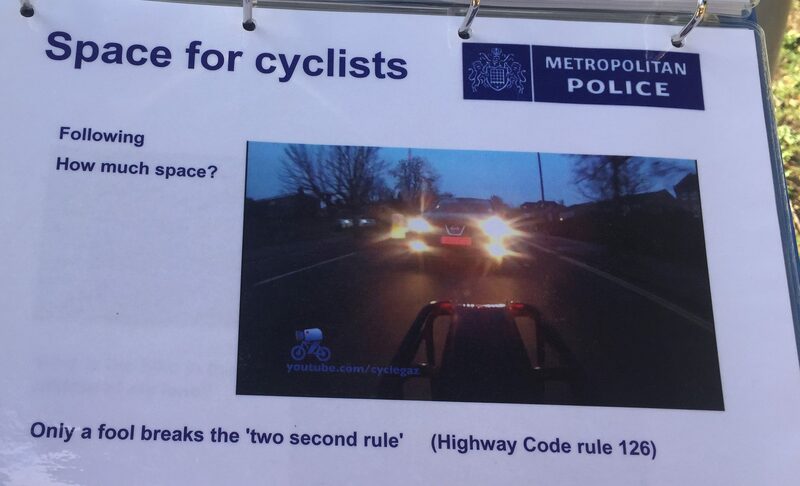 “Only a fool breaks the two-second rule” – stay back! I posted the details of this operation on Better Streets for Enfield’s Facebook page and was overwhelmed by the reaction – more than 100 likes in less than 24 hours and a dozen shares. This the most attention one of our posts has received, suggesting that many of us are relieved to see dangerous driving tackled on our roads. Is this a good use of police time? Yes. The first close pass operations in the country were carried out by the pioneering West Midlands Police, and resulted in a 20% reduction in cyclists being killed or seriously injured in the first year. Many police forces around the country are now following suite. This action is much needed in Enfield. We have something of a reputation for our Wild West driving. 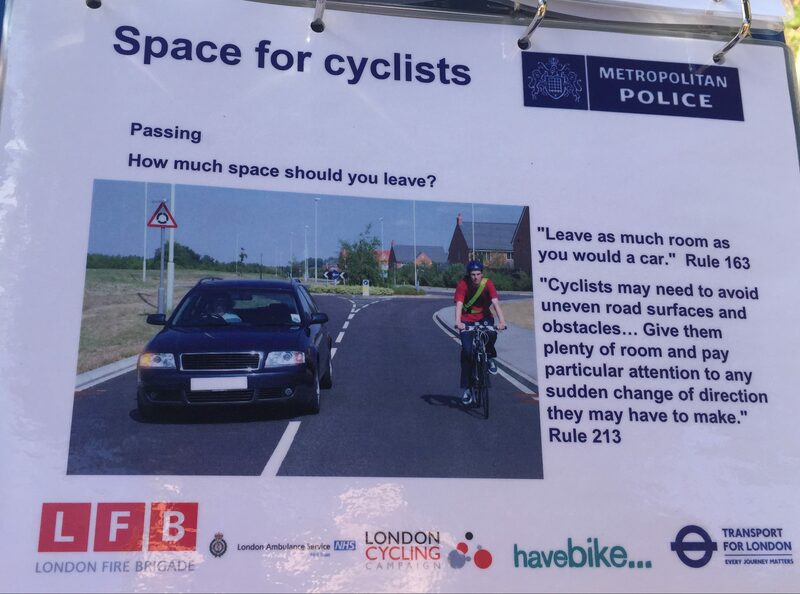 Very few drivers seem to know that they need to give cyclists a 1.5 metre berth, or hang back patiently until it is safe to pass, or that people need to cycle in the middle of the lane in certain conditions. 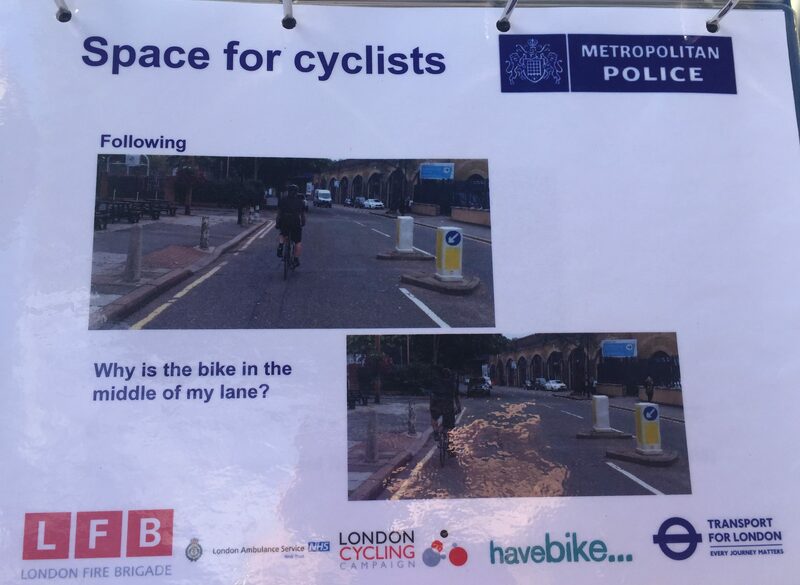 This ignorance is not just dangerous to those who currently cycle – it’s also a reason why so few of us ride bikes as transport in Enfield in the first place (only 0.7% of our journeys in 2014). The attitude of a significant minority of drivers makes riding a bike on the road feel far too intimidating. 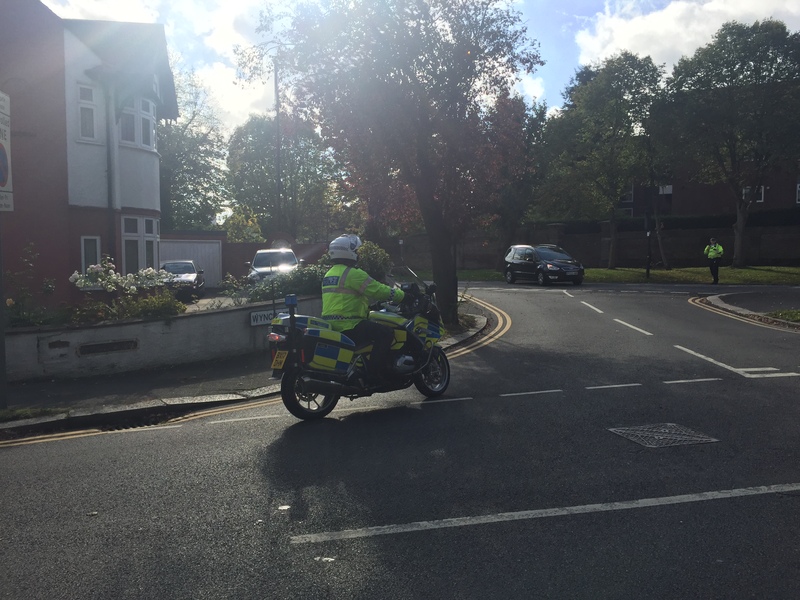 As well as carrying out these operations, the Cycle Safety Team recommends changes to road layouts where necessary for safety. Team leader Rob told me that The Bourne needs need separate space for people cycling – perhaps on a shared-use footway – rather than having to mix with traffic on this busy road. We wholeheartedly agree. Southgate is outside the scope of the Cycle Enfield funding, but separate funds should be found to make The Bourne and Bourne Hill a safe route for anyone not in a car. 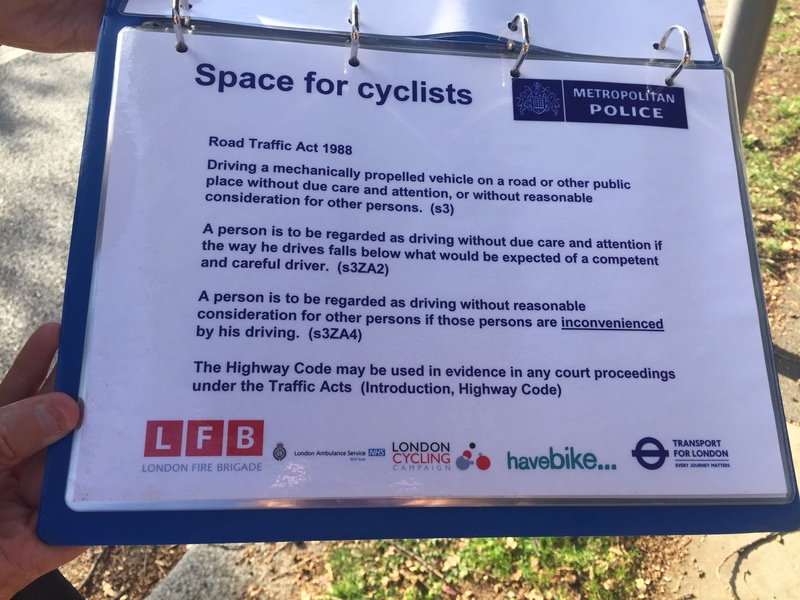 Bikes could be accommodated either on widened shared use footways away from the road, or segregated cycle tracks – that would mean even families would feel safe to cycle instead of drive the school run. The carriageway should be narrowed to encourage drivers to slow down, limited to 20mph, and given formal pedestrians crossings rather than traffic islands. Traffic islands create dangerous pinch points – most close passes are here, as drivers try to squeeze through them with or ahead of anyone on a bike. 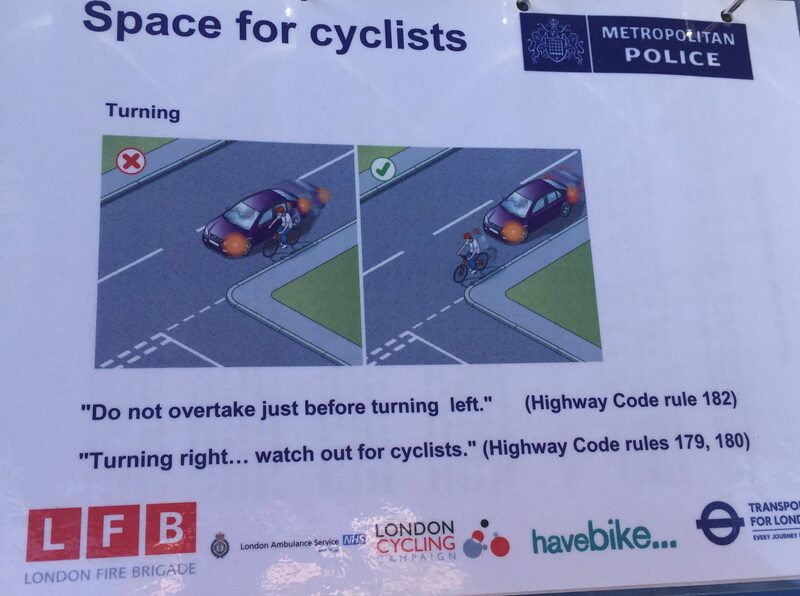 1) Tweet @metcyclecops with the name of the road – if they get several messages about the same road they will come and do a close pass op when they can. The three cycle safety teams are massively stretched, covering all of London’s 32 boroughs, but if we don’t ask they won’t know where to come. 2) Take part in London Cycling Campaign’s #StayWiderOfTheRider campaign – you can drop a pin in a map to show where you were close-passed, helping to build a picture of problem locations. You can also get a free #StayWider sticker for your car or bike. Watch their great video below.